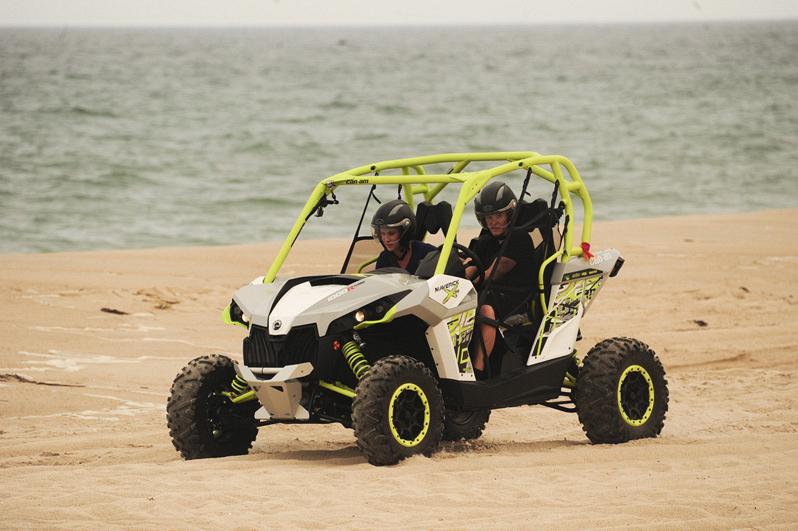 Using a dune buggy, Kelsey (left) and Joey (right) make their way to the final challenge. The final three teams race to Long Island, New York, where, after five continents, 10 countries, and more than 34,000 miles, one pair will be crowned the winners and awarded $1 million on the season finale of The Amazing Race ("We Got A Chance, Baby! ").